ILM Minimum and Maximum Order Quantity helps merchant to prevent bulk ordering from third party merchant. And If any product has special deals/special discount price merchant can give limited quantity to order the product. IMMOQ Pro come with more advanced feature which helps to reduces the merchant’s time in controlling the product order quantity. 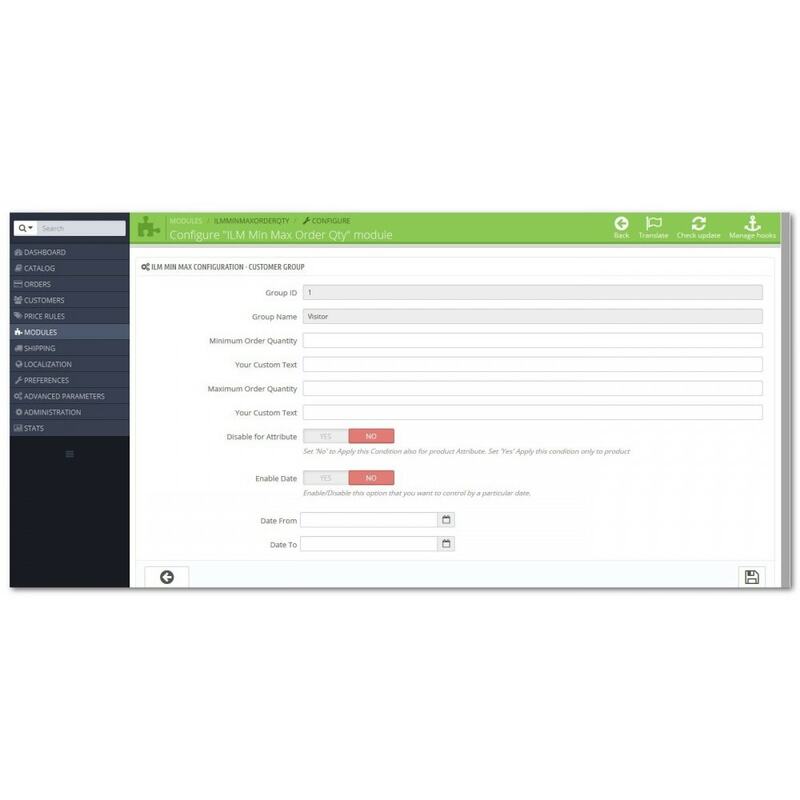 Now merchant have control over the usergroup so you can now focus to your special customers and wholesale dealers. This will leads to increase the sales and avoid more abandoned cart. 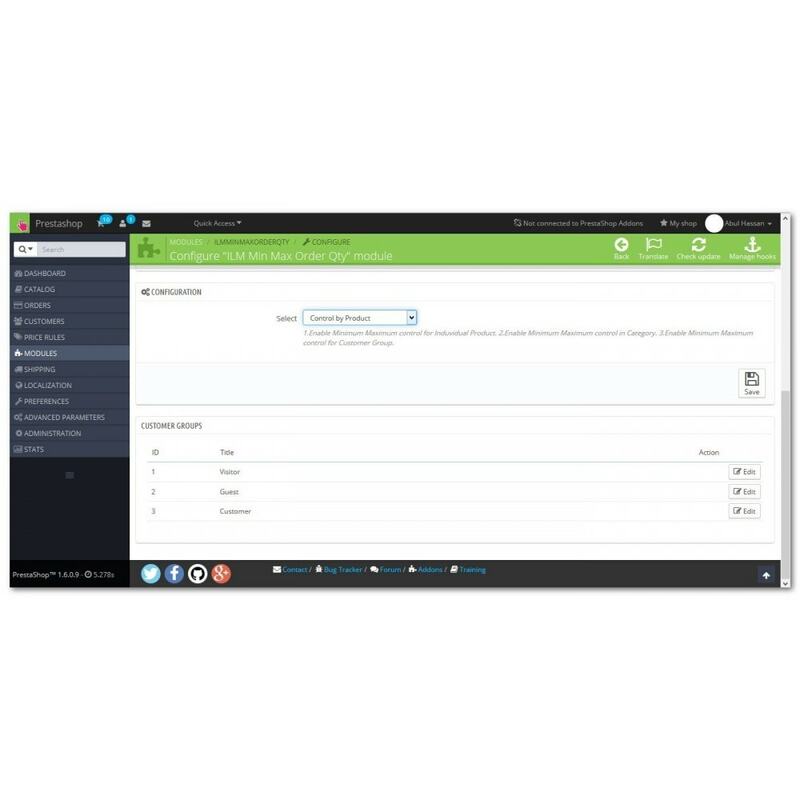 Merchant can set Minimum Order Quantity for a product For eg: If Merchant set Minimum Quantity as 2 then User/Customer should select/buy at least minimum of 2 Quantity of a Product. Merchant can set Maximum Order Quantity for a product For eg: If Merchant set Maximum Quantity as 5 then User/Customer should select/buy at Maximum of 5 Quantity of a Product. Merchant can set Minimum and Maximum Order Quantity for a product For eg: If Merchant set Minimum Quantity as 2 and Maximum Quantity as 5 then User/Customer should select/buy at least Minimum of 2 Quantity and not Maximum of 5 Quantity of a Product. Merchant can set Minimum and Maximum Order Quantity for a product Attribute For eg: If Merchant set Minimum Quantity as 2 and Maximum Quantity as 5 then User/Customer should select/buy at least Minimum of 2 Quantity and not Maximum of 5 Quantity of a Product by Attribute. Now Merchant can limit the order quantity by date to all type of quantity controls. And here we have date range also so we can give quantity control only to specific period of date. 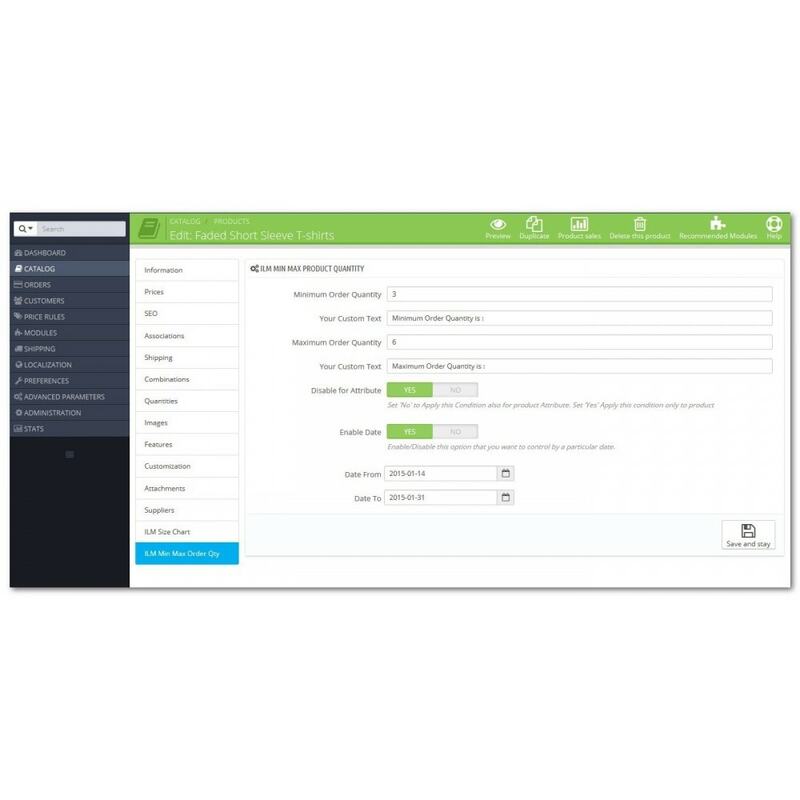 Minimum and Maximum order can be configure in category so Merchant can save more time in entering value in individual product instead of configuring a category that products belongs to. Merchant can give order control through category as well as to an individual product. If a product not belongs to that controlled category or Merchant needs to give special control to an individual product then this is the best control for you. 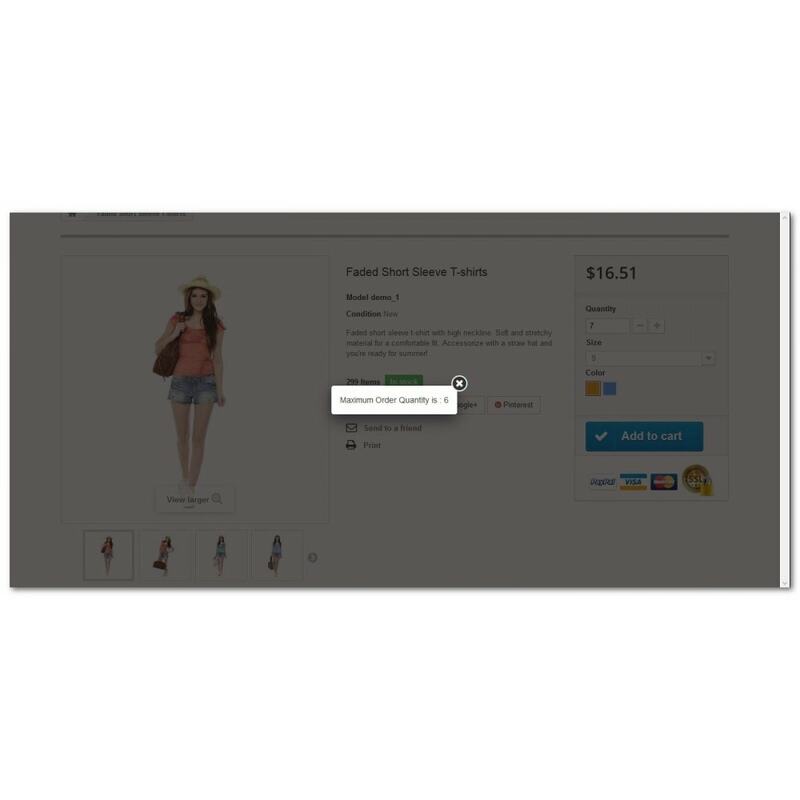 Merchant can give order control through customer group each group’s control will not override. If Merchant need to control whole product has the same Minimum/Maximum order quantity this is the best choice which will apply/override to all products. Upload the package ilmminmaxorderqtypro.zip that you already download then install the module. 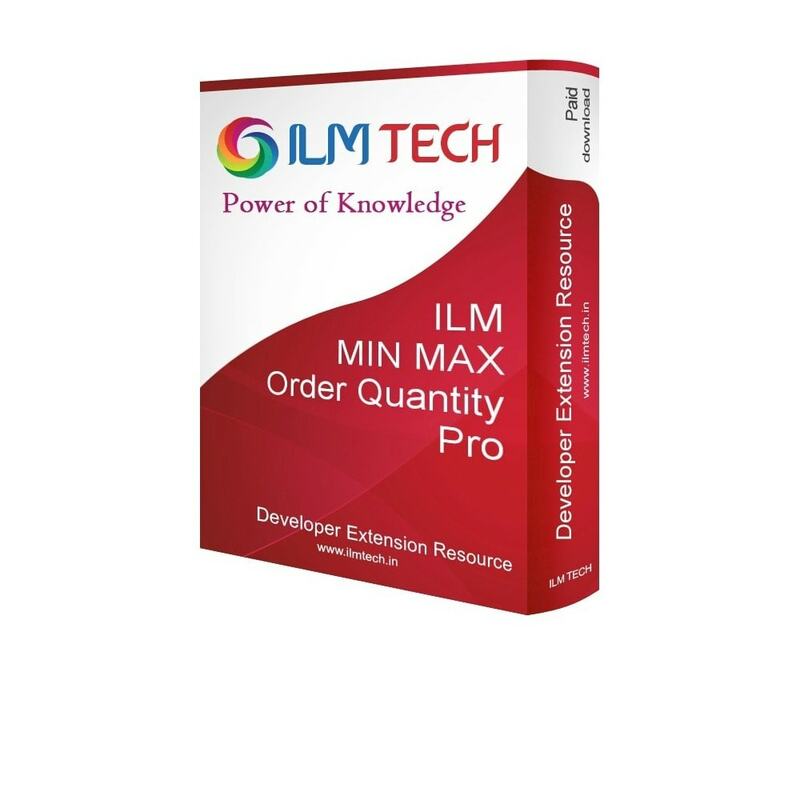 Note: If you tring to upgrade from "ilmminmaxorderqty" to "ilmminmaxorderqtypro" please contact us before you proceed.